What a sweet card! Love the colour combo. No one uses orange enough. :-). Love that stamp too. Thanks for playing along with us at Red Carpet Studio. 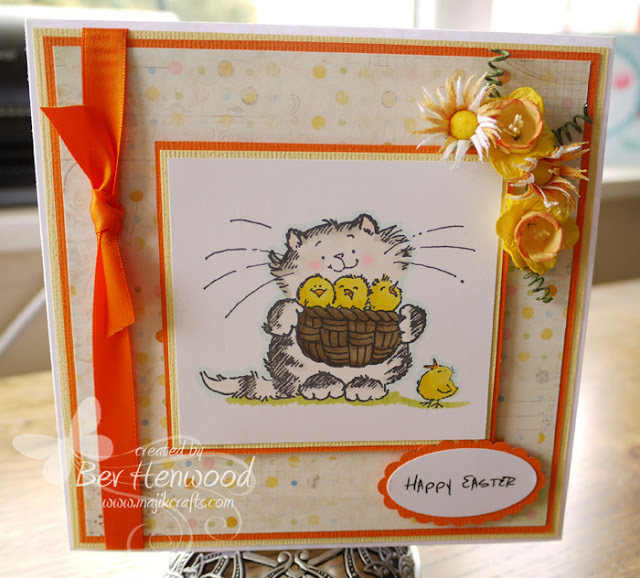 Such a cute image Bev, love the wee chicks,Fabulous colors,love the yellow and orange mix..
isn't it cute?? So sweet! !love=)) Thank you for playing with Red Carpet Studio! Good luck!